Who knows? Worse things happen at sea. 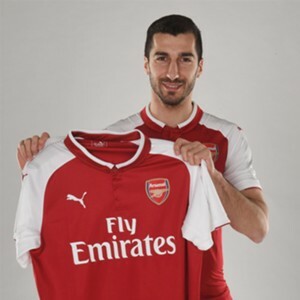 So, Henrikh has signed and much of Goonerdom is happy to have shifted the misplaced pass, dog botherering money-grabber. We will miss the goals of the Chilean but if PEA signs and Micki can recover his Dortmund form, things could turn out rather well. Where will Henrikh play, you ask. Well, I’d have a guess at left-side floating much as the mercenary he is replacing. If you’re good enough, we all know that Big Weng will tell him he can play wherever the hell he likes. The mix and match attacking options we might have come February are mouth-watering. Yep, we could probably do with an invisible shield, Gilberto-style, to counter the potential wealth of creative genius but we all know that is most unlikely, in the short term at least. I know very little about our shiny new Armenian. His father was called Hamlet and scored a fair number of goals in his career tragically cut short at the age of 33, much like our beloved Rocky. 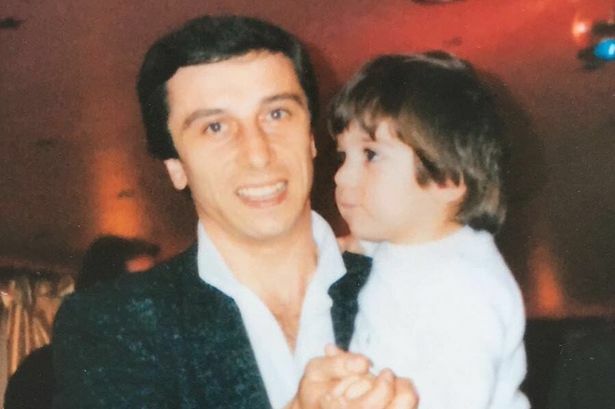 Micki used his father’s career as motivation to be the very best he possibly could be. From war-torn Armenia, Henrikh always loved the creative players, such as Zidane and Kaka, the most. Let’s hope he really can re-start his career with us and become an Arsenal legend. This entry was posted on Tuesday, January 23rd, 2018 at 9:58 am and is filed under Uncategorized. You can follow any responses to this entry through the RSS 2.0 feed. You can leave a response, or trackback from your own site. Asked how he could fit Mkhitaryan and Ozil into the same team, Wenger explained: ‘Just play the good players! They can always play together. If we had to take an MU reject why not one whom fits our demands? We are well stocked with attacking midfielders – Ramsey, Iwobi, Wilshere, Ozil, Xhaka and Elneny are a very good quintet. All first choice Internationals in quality teams (maybe not Ramsey 🙂 ) And we have Nelson, M-N, Willock coming through from the kids. Why not take Shaw or Smalling? Or even a DM? What we are doing is taking a punt on a player whose career has stuttered; it may well reap huge benefits for both AFC and the player but equally it may not. One major positive is that we now have two players who can score with a Scorpion kick. one of the Arsenal FanTV motley crew interviewed after the Palace game goes on to say that if AW signs Mkhitaryan and Aubameyang then he can stay another 10 years, he is a genius. Unbelievable how they can change their loudly espoused views when the wind changes direction. Henrikh Mkhitaryan isn’t eligible to face Chelsea having previously played for Man Utd in this year’s League Cup. If we view McHit as a replacement for either Theo or the Ox … and Aub as a replacement for the dog botherer, then surely no one can claim that doesn’t make the squad stronger. It would be sad to see Giroud go the other way, but I guess his game time would be further reduced if Auba arrives. Fred. We took it down and will re-publish on Friday. Considering the position we were in with Sanchez after the decision had been made to keep him this season, to get that business done with only £30m spent would be a stroke of genius if you ask me. I can't wait to see how that forward line performs over the next few years (assuming Özil stays). It may be that one has to miss out now and again but you have a squad for a reason. Mourinho has brought in Sanchez knowing that Rashford or Martial will miss out now and again, but you need that depth and competition in the squad. Now we just need to improve to a similar level in the defensive areas. Great post and we will expect big things from Miky. We definitely have creativity, skills, aerial strength and some pace as well. Basically, we can move up the ball well. If Aubam comes, we get depth, pace and fantastic goal scoring ability. Shall we sell Wellbeck then? Why wouldn’t anyone swap Pants Down for a top quality goal getter? I saw a (somewhat disturbing) post yesterday that was stating that Dortmund, should they sign Giroud, would be wanting him as a “stop gap” for one season only, then signing the player they REALLY want. Quite possibly click-bait, of course. Talking of click bait, I just went digging and found a picture of some fat geezer putting something in, or possibly taking some out, of his car boot. Silly me, apparently it was PEA loading up ahead of a move to Arsenal. You know, toothbrush, clean pants, phone charger and so on. Big Raddy says: “Why not take Shaw or Smalling?”. 1. Arsene initially wanted Martial (age 22) for our swap deal (young player). Mourinho said no. 2. Arsene then asked for Shaw (22 years old). Mourinho said no. 3. Arsene then asked for Mkhitaryan (29 years old). So we got Arsene’s third choice. As regards Martial, I’ve already said my piece in previous posts. At just 22 years old, perfect! As good a player (or better) than the one we got, and sell-on high price guaranteed (in 5-6 years). We should have upped the offer but we didn’t. A straight swap is unthinkable. If the Shaw story is true, that’s worrying as far as I’m concerned. He’s a left back. So is Kolasinac. My worry is that he would move Monreal back into the middle of defence in a wretched “back-3” again. If not, it begs the question: why the heck would he want Shaw? Not sure, but Mik has maybe already featured in this cup for Man U. Why don’t you put your name on your posts, Chas? I almost had another go at poor old GoonerB. What’s your source for your Martial, Shaw, Mkh info? Fabregas and Morata missing for chelsea tomorrow. Good news. I suspect Wenger will play a similar team to the one that drew the 1st leg, but in fairness that was probably our strongest team at the time (other than the dog botherer) so maybe if Kos and Özil are fit they will slot in. I really hope we win as would be a good boost for the club right now. I worry that Hazard might be the difference though. No way United would let us get Martial, £50m or otherwise. Id rather have Auba and Mkhitaryan than just Martial anyway. We need a bit of depth after losing Theo and Sanchez. Martial is top quality. Would AW spend €100m to buy him? Sorry for delay – I was watching lots of “Soul Train” dance routines on Youtube. Afros, flares, and birds. And the music. Love it! Charlie’s idea was a swap – 35m for 35m PLUS 50m – he uses the word “additional”, therefore I gather he means 85m valuation. I personally would suggest 60-65m is more realistic. Work out the transfer cost by dividing years left in the game – he’s only 22. Actually orks out cheaper than the old scrote we bought when we receive zilch on his retirement at 34. FGG – Martial has not been in favour (fully) since Jose’s been at United. If Arsene was serious when offered 85m-ish for what’s-a-name just a while back – it’s been mooted a few times he could be on his way soon. He’s had a reasonable amount of benchtime at United. Too late now, anyway. Missed opportunity for those who regard Martial as highly as Charlie and I do. Chas – you ask: “What’s your source for your Martial, Shaw, Mkh info?”. Pinches of salt always at hand. All I could find when I googled was Football365 rehashing a story from respected Sun journo Alan Nixon. Forgot to say that I avoid the Sun like the plague, so that’s probably why I missed the story. Comments/quotes from ex-players may well hold some truth at times simply from a “connections” point of view. Alan Smith, Wright, Merson, Keown to name a few. Sanchez to United started somewhere. Followed by a “swap deal”, which wasn’t just rumour. I take as much care as possible regarding where I click. I think the Giroud “rumour” suggesting being only a one-season stop-gap was from a source in Germany. Newspaper or correspondent maybe. It was well written, in a believable fashion. That’s not to say I did believe it, but I considered it as possible. City at wembley if we get through tomorrow. If we don't play City on 25th Feb we also won't be able to play City on 25th Feb because they won't be able to play us that day. Unless we do play them which means we also won't be able to play them, because we'll be playing them. I rate Martial aswell, that’s why I do t believe they’d let us have him for £80m. FGG. Surely not! 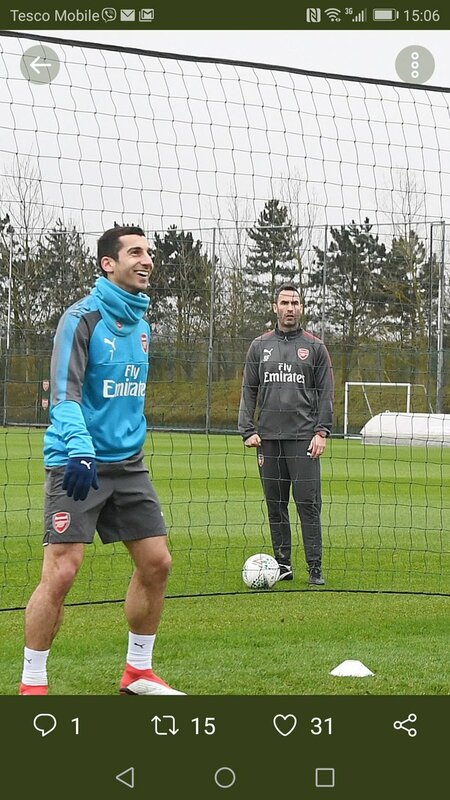 Miki is certain to be played on the right wing in front of Hector for a few weeks, then left wing, then CB until he settles into his best position between the posts.